I just keep hearing about Google Classroom. Whispers of how to use it to organize everything. To respond to everything. To eliminate the paper trail. To differentiate for different ability levels. To pull in creative new options for class time. I bet you've been hearing about it too. Maybe even experimenting with it. But perhaps, like me, you've got a lot of questions. 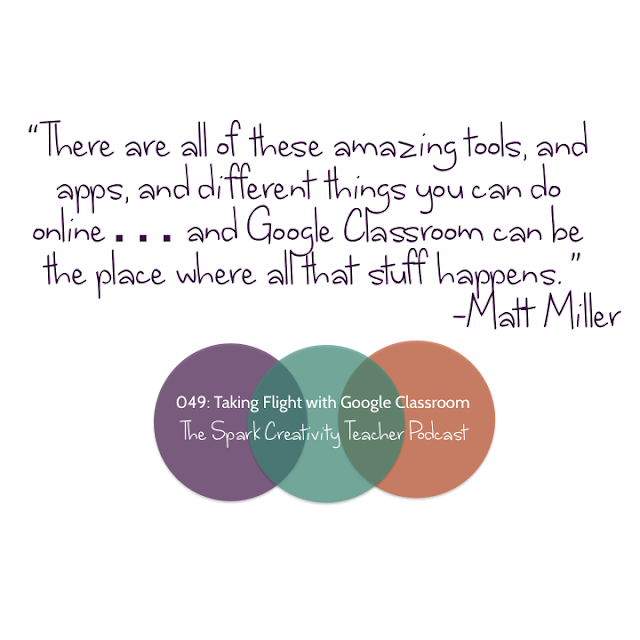 That's why I invited Matt Miller, of The Google Tribe Teacher Podcast, onto the show. We're talking about how to use Google Classroom from an English teacher's perspective. We'll be covering what it is and what it does, how to get started with it, how to use it to stay organized and create truly creative lessons, and also how to use it to make your grading quicker and more effective. At the end of the show, I asked Matt if there's a way to use Google classroom to help prevent plagiarism and cheating, and I think his answer will surprise and delight you, as it did me. 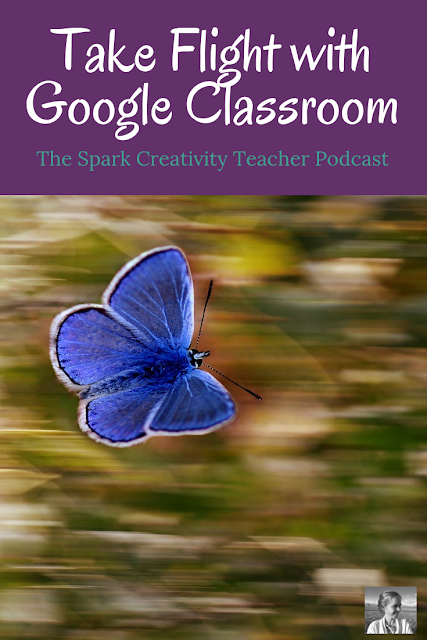 If you're ready to rock Google classroom, this episode is definitely for you. You can listen below, or on iTunes, Blubrry, or Stitcher. Read on for the written highlights. In case you're not in the mood to listen, I've outlined some of the main points of our conversation below. 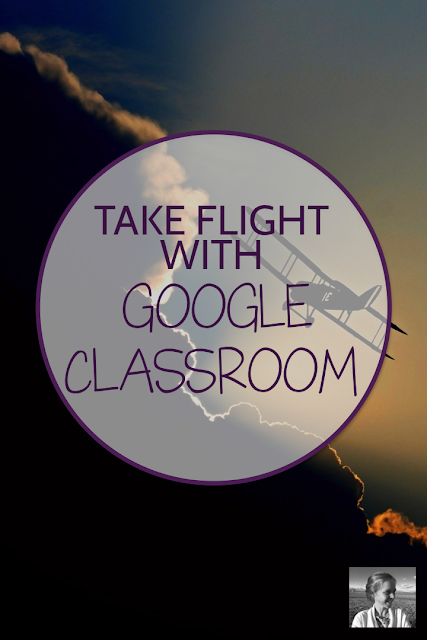 Google Classroom is a place where you can manage your assignments. You can create an assignment, you can give it students, they can work on it, they can ask you questions, you can give feedback and grade it, and you can give it back. It doesn't have all the bells and whistles that some management programs like Moodle and Schoology have, but it's simplistic and basic on purpose. It's the airport, where you can launch everything you want to do online through a platform that is pretty simple and easy to learn. You create an assignment. You put a description in it of what you want students to do. And then you can put in links to whatever you want them to go off and do. This gives you the power of the entire internet through your assignment. It also allows you to be VERY clear with all students about what they need to do, whether or not they are in class or paying attention when things get started. What are some key steps in getting started? First order of business is to create your classes. Log in to Google Classroom. In the top right hand corner, click the little plus, and you can start creating your classes. Consider creating a practice class and get into it and start pushing buttons. Create an assignment, look at what all the options look like. Check out the grading platform and get a feel for it. Create an announcement, which is just like an assignment but without the grade. Work with another teacher that's using Google Classroom. Join one of their classes, experimentally, as a student. Find out what the student experience is like, so you can give them good directions and know what everything is going to look like to them. #1: Whenever you're creating assignments for your students, put a NUMBER in front of them. Start with assignment "001." Whenever you look at your grade book, things will be nicely ordered for you. Also, you can quickly reference assignments with students without trying to describe the assignment when lots of time has passed. #2: Put instructions on EVERYTHING. Even if you're just quickly doing something in class, don't just put a title and give the instructions out loud. Students who are not in class need the instructions, and often even students who are there will need to refer back to the instructions. You will save yourself tons of time by just keeping the instructions on the document for your students. Are there some tools you would recommend teachers start to experiment with? Google Docs is great for students to write. It's also a nice collaborative space. Have one student create document and then click that blue share button and three or four students can work together in that document as a collaborate space. Slides is really versatile. You can use it for far more than visual aids for an oral report. You can use slides to create stop motion animation. You can create a slide presentation, then create a slide for each student, hit share, change it to "anyone with the link can edit", then let each student design their own slide in a huge collaborative space. They can look at each other's work as they go. You can use My Maps in conjunction with a reading, dropping pins with titles and text and photos in key places on a map that relate to the reading. You can also link to other sites that are non-Google, like Flip Grid. So, for example, you could send them over to view a video on Flip Grid, then return to their assignment in Google classroom to respond. You can respond to these assignments with public comments (like a Q & A in class that everyone can hear) or through private comments, where you can chat one-on-one with that student only. Is there a way to leverage Google Classroom to speed up grading? If a student turns in an essay to you in a document, if you want to leave them feedback, you can use the private comments in the Google Classroom. Or you can open the document, and leave the comments inside the document. If you go INSIDE the document, you could experiment with Google's new tool, the answer bank. You can have prewritten comments, which you can just drag right in. There's a voice comment tool called Kaizena. You can record audio comments with it and stick them right into a Google doc. You can talk so much faster than you can type, so if you can get in the habit of it, it can definitely save you time. Google docs also has something called voice typing. If you are willing to try it, you can also voice type directly into a document. It's really pretty accurate. Take the document, put it on your screen, and start a screencast video with a tool called Screencastify. Let the tool record your voice as you go over the assignment. Students will be able to watch the video of you going over the work and giving your feedback when you send them the link to your screencast using Google Drive. Is there a way to use Google classroom to help prevent plagiarism and cheating? Nope. But maybe there's a bigger question to consider here. Instead of worrying about catching students, locking out the options they have online, maybe we need to be asking, how can we create assessments that use more 21st century skills and less recall? So we don't need to be trying to cut them off from parts of the information flow that now exists. Sometimes English teachers feel guilty about moving away from argument writing and the traditional methods of our discipline, because there's enormous pressure to prep for testing, etc., but there are so many ways to develop the cognitive skills we want students to strengthen. "Matt Miller is a teacher, blogger and presenter from West Central Indiana. He has infused technology and innovative teaching methods in his classes for more than 10 years. 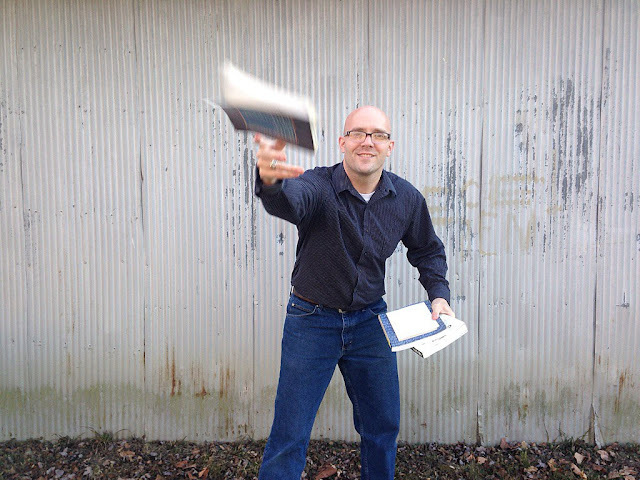 He is the author of the book Ditch That Textbook: Free Your Teaching and Revolutionize Your Classroom and writes at the Ditch That Textbook blog about using technology and creative ideas in teaching. He is a Google Certified Innovator, Bammy! Top to Watch in 2016, and winner of the WTHI-TV Golden Apple Award."